Carlton Gebbia was barely conscious while being loaded into an ambulance Friday night, and it appears alcohol is to blame ... TMZ has learned. The 'Real Housewife of Beverly Hills﻿' star appeared unresponsive outside Bootsy Bellows. She was eventually put into a wheelchair before paramedics arrived and placed her on a stretcher. Sources tell us an ambulance was called to transport an unconscious female. Multiple sources tell us they believe Gebbia's condition was caused from excessive alcohol while in the club. It's unclear how long she was hospitalized, but sources close to the 'Real Housewife' tell us she was resting at home on Sunday. We reached out to Carlton, so far no word back. 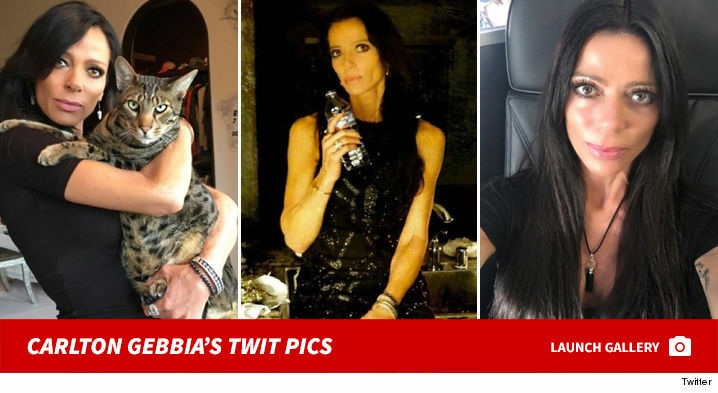 Carlton Gebbia Real Housewives Drugs & Alcohol Nurse!